I love the Harry's product, but aren't they owned by PG? The DSC quality compares well to anything I've used. The real benefit is that I can afford to change them often 'cause they're so inexpensive. Buy a Merkur DE and Feather blades. Razor blades should cost $0.25 not $3. I'm sometimes forced to use a 75 bladed wonder razor, and it feels like I'm scrubbing my whiskers off. At this point, I wouldn't go back even if Gilette's trash were cheaper. Every year or so I buy a package of 52 Gillette disposables for around $25 If I could find a razor as good and as cheap, I would switch. I haven't forgiven Gillette for their Blue Blade face shredders. I dont I need no stinking disposable razors! Make your own! 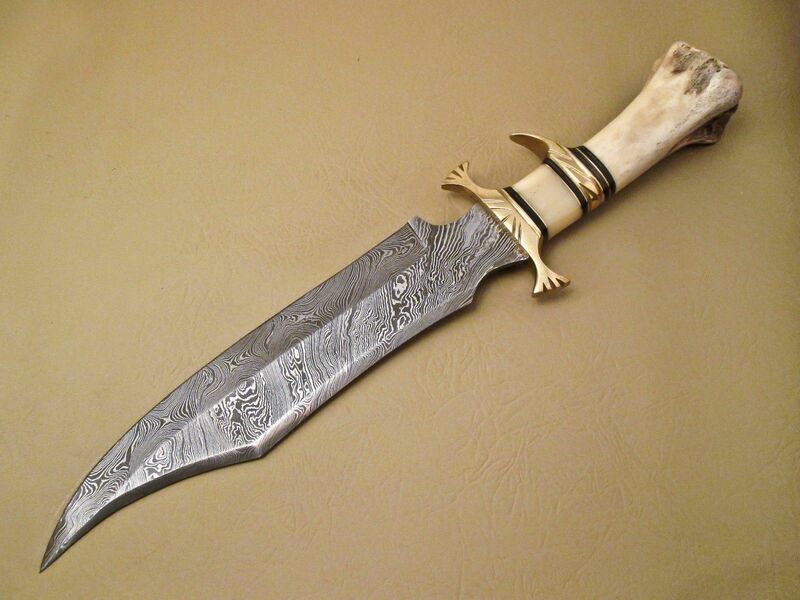 Make it a Bowie and make it Damascus! I thought about starting a thread just for this, but it should fit in here OK. I received the DSC blades a few weeks ago - they're rather clunky versus Gillette, being a 5-blade set (stupid overkill, IMO) but I'll continue to use them as opposed to those made by a posturing, PC company.